All of Myra’s books are available on Amazon as well as many good online stores. For your convenience, the main bookstores are listed below, together with the link to Myra Sri’s Author page or Author Book list page. 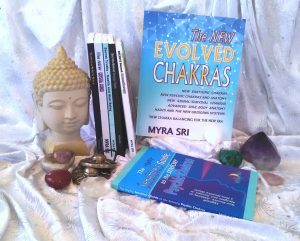 For further information on the New Evolved Chakras, you can go to www.newevolvedchakras.com. If you have any problems, please do contact Myra directly. Thank you.